The tradition of the harvest festival, celebrated by Vermont's earliest farmers, continues to this day. However, modern festivals not only include a focus on food and agriculture as they did in times past, but also offer updated forms of entertainment, amusements, and crafts. Fall also means magnificent foliage in Vermont. Reds, yellows, and oranges from horizon to horizon. 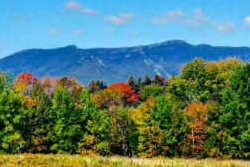 Fun food, entertainment, and amazing exhibits, all set against the fabulous display of Vermont's fall foliage. Enjoy fall colors and take in the beauty from southern Vermont's highest peak. Stratton has planned a fun-filled Labor Day Weekend for the entire family. Columbus Day Weekend offers up fun, music, food and brews. Come celebrate! 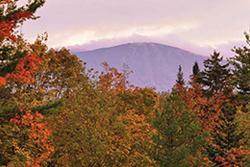 Located at the foot of Mount Mansfield, the village of Stowe offers the perfect destination for your fall getaway. Surrounded by legendary fall foliage, you can hike the woodland paths, stroll the historic village, shop, dine, and take in some local Fall Festivals! This fall, head to Manchester for the perfect getaway. With magnificent mountain foliage, superb dining opportunities, shopping galore, and lodging to fit any style or budget, plus home to ITVFest Oct. 9-13, 2019, Manchester has it all. Looking for a unique experience during the Vermont fall foliage season? Go on a fall waterfowl hunt or a Lake Champlain fishing trip for bass & pike, and enjoy the spectacular fall colors at the same time! 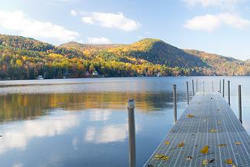 Set on the shores of Lake Morey, the Lake Morey Resort offers an ideal locale from which to discover the beauty of Vermont in fall. 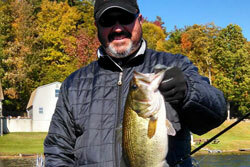 Enjoy the many on-site activities, wonderful accommodations, and superb dining for a perfect getaway. The Grafton Inn has been welcoming guests since 1801. The Inn offers old-world charm coupled with all the modern amenities. 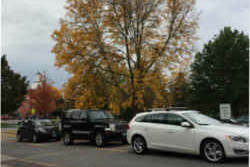 Enjoy the magnificent foliage at nearby Grafton Trails or take in a local Fall Festival. 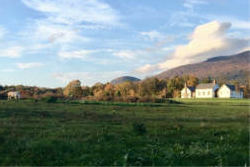 Located in the scenic Lake Champlain Valley, The Essex is a perfect HQ for your Vermont getaway. 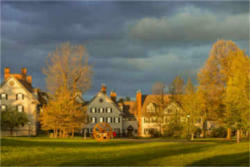 Take in local Fall Festivals or relax and enjoy the magnificent foliage. A visit to Burlington offers many attractions including museums, entertainment, fabulous dining, and outdoor activities on and around Lake Champlain. With legendary fall foliage and local Fall Festivals, this is the perfect time to experience Burlington. Located in the heart of the Northeast Kingdom, the Burke area is home to breathtaking beauty and world-class recreation. Join us for the Burke Fall Foliage Festival, Sept. 28, 2019 for fun, food, and crafts set against a backdrop of magnificent foliage. 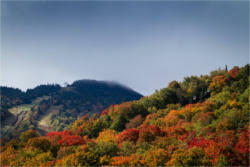 Visit the mountains and valleys of the Killington area to see fall in all its beauty. 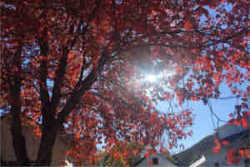 Hike or bike the local trails or take in a Fall Festival or two. Choose from many lodging and dining options for the perfect getaway. The Golden Stage Inn offers historic country charm with all modern amenities. 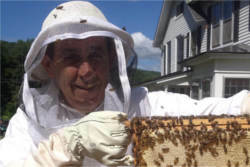 Come visit this fall to enjoy fabulous fall foliage as well as the inn's own Golden Honey Festival, September 14, 2019. 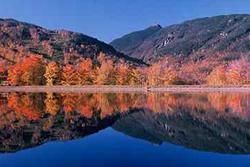 Smugglers' Notch lets you to enjoy the unique beauty of Fall in Northern Vermont. 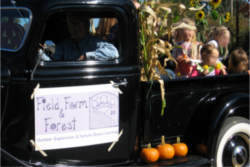 Check out these special seasonal celebrations - FallFest, Sept. 7-8 and AppleFest, Sept. 26-30. The Vermont harvest festival has grown over the years to include everything from traditional country fairs to arts and crafts displays to a celebration of local craft brews. Set against a backdrop of magnificent foliage, these festivals offer something for everyone. Come join us at the festivals listed below or check our Calendar of Events for more to do in Vermont this fall.